The King's Thrombosis Centre is a leading multidisciplinary clinical and research group dedicated to the diagnosis and treatment of hypercoagulable conditions. We are a designated Haemophilia Centre and were the first National Venous Thromboembolism (VTE) Exemplar Centre, reflecting our national leadership in the prevention and treatment of VTE. Our clinical trials unit works in partnership with industry to develop new treatments for VTE prevention and treatment. 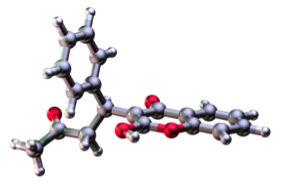 With the next generation of oral anticoagulants entering clinical practice, the FIRST registry will provide an important data tool to increase knowledge and improve the quality of care of patients with VTE. The King’s Thrombosis Centre runs this training course twice a year, which was developed to meet the educational needs of healthcare professionals involved in anticoagulation management. Click here to download an application form and agenda. 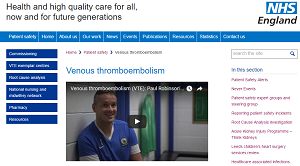 After being hosted at the King's Thrombosis Centre website since its launch in 2007, the website is now managed as part of the National VTE prevention Programme at NHS England. Click the image to access the site.